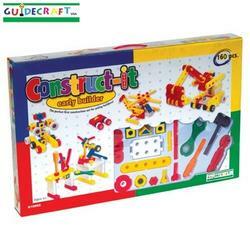 The perfect beginning construction set for younger builders! Complete with all of the components that the big guys use, but the pieces are thicker, the tools are larger and both are easier to handle. 160 PCS AGES 4+.